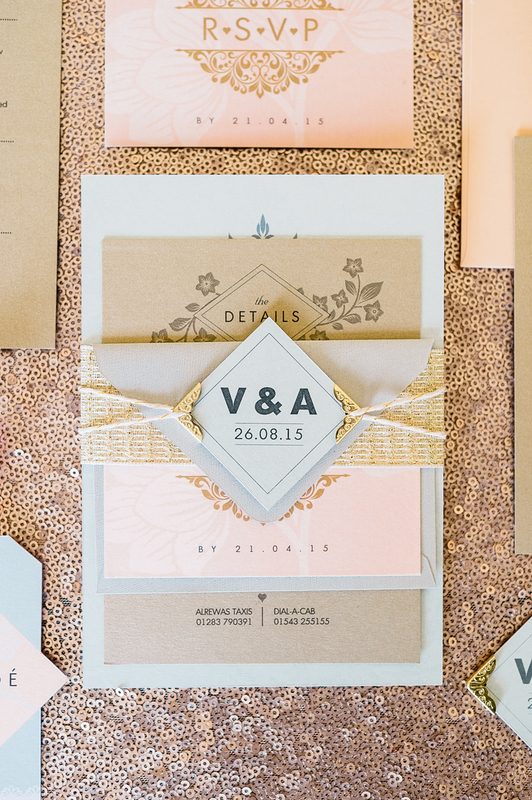 One of our favourite stationery companies, Paperknots, was awarded Best Wedding Stationery at the Wedding Industry Awards last night, and it’s not hard to see why with their luxurious Amour collection. 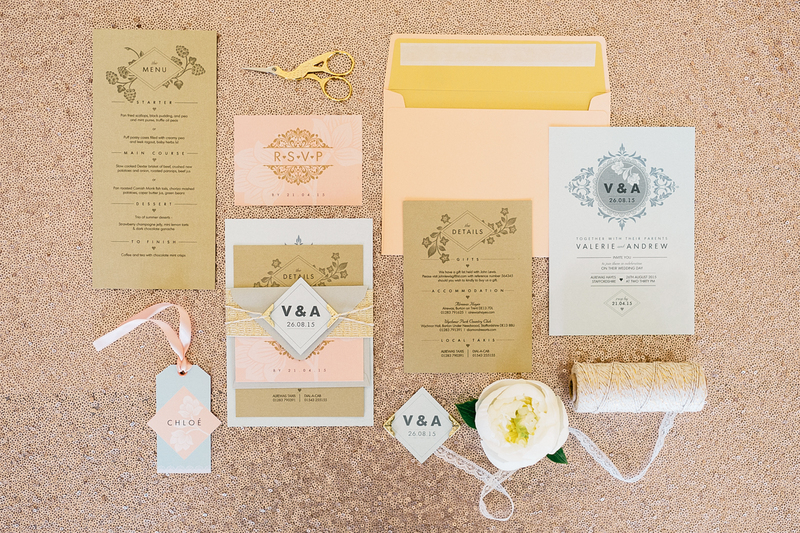 This elegant and romantic suite is printed on the finest paper stock and would certainly set the tone for a wedding that’s in a league of its own. Imagine getting this little package through the door! It includes a details sheet for all that essential info (think taxi numbers, hotels near to your venue, transport info…) but you can pick and choose what bits and pieces you want depending on your budget. 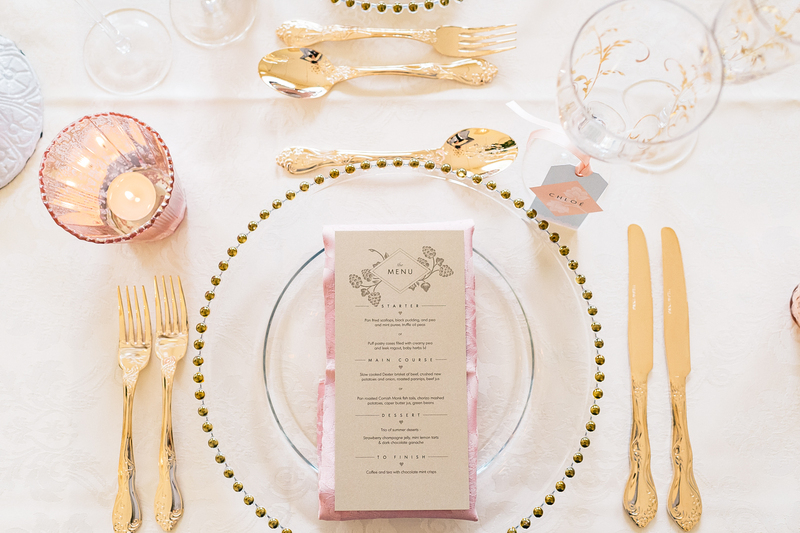 Styling-wise, choose the palest, powder-pink roses and gold sequinned table cloths (you can hire them from Pudding Bridge, who offer a range of colour options). 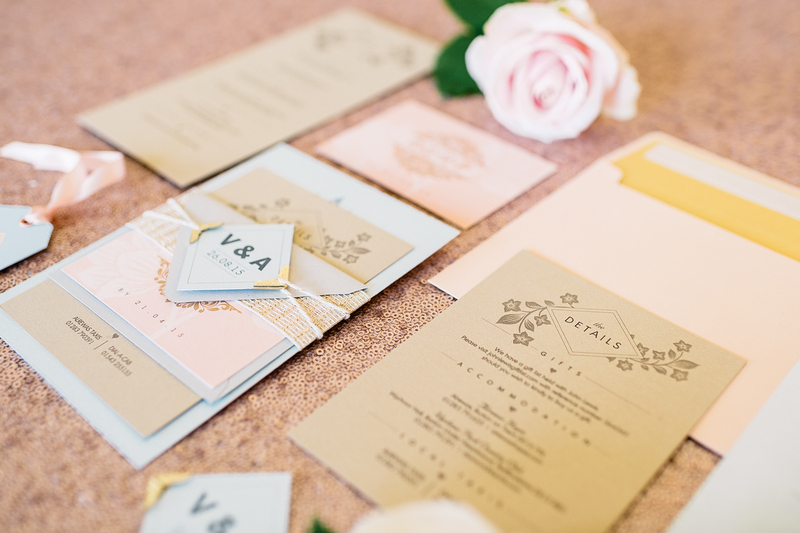 If you want to carry the look through to your reception, on the day stationery is available in this range, including the menu and place name shown above, along with order of service and table plan. See more of Paperknots’ designs or find out about their bespoke service at paperknots.co.uk. « What do I put in an order of service?